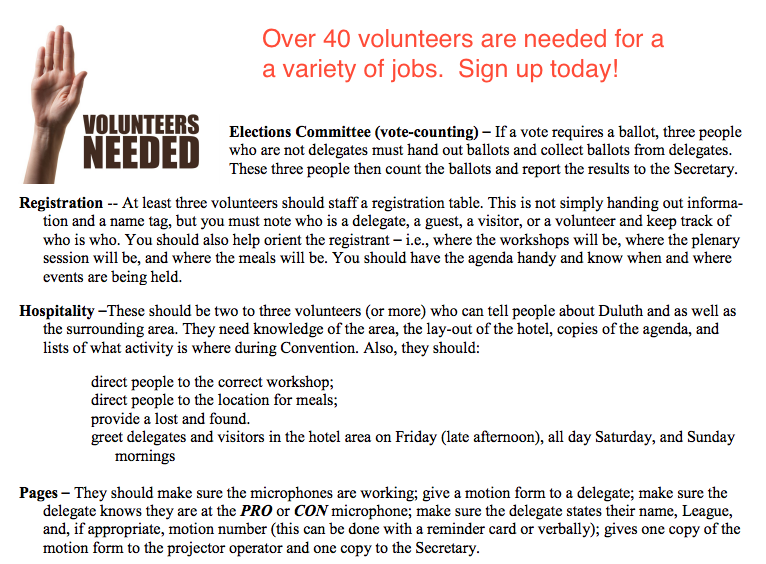 June 13 - 14 LWV Minnesota Convention in Duluth! 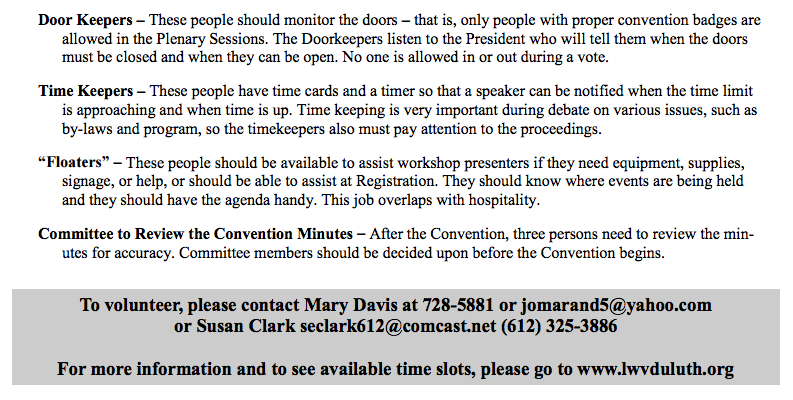 Register today to attend the convention. Click on LWVMN.org You must be a LWV member to attend. Follow the login instructions provided. You may need to sign up for a password. Following an all member reception Friday, June 12 from 5 to 6:30 pm, the Duluth League is asking local members to host out of town guests at one of our fine local restaurants for dinner. This involves making a reservation and going to dinner with guests. If you are interested sign up and we will contact you with more information.